Born Minnie Eder in Poplar in 1950, Two Shoes began her career in 1970 as a publicist for the American Indian Movement. 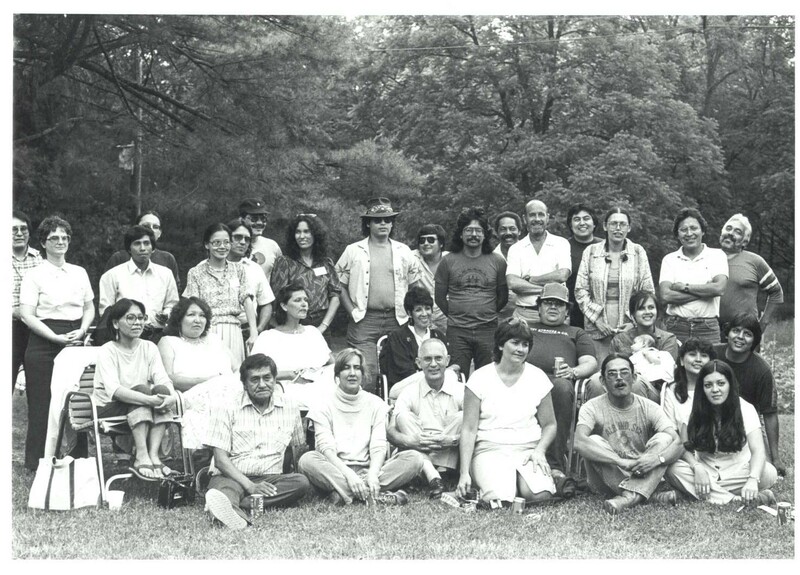 Founded in 1968 as an advocacy organization for American Indian prisoners, AIM coordinated several highly publicized protests in the early 1970s, including the nineteen-month occupation of Alcatraz Island in 1969-71, the occupation of the Bureau of Indian Affairs building in Washington, D.C., in 1972, and the occupation of Wounded Knee, South Dakota, in 1973. AIM’s goal was to bring national attention to the political, economic, and social injustices facing American Indians, but the FBI considered AIM an “agitator” organization. In an attempt to sabotage AIM, the FBI planted informants in the organization, fracturing the trust between its members. In early 1975, AIM leaders questioned Two Shoes about providing information to the FBI and exiled her, despite her claims of innocence. That summer, two male AIM leaders interrogated Two Shoes’s friend, Anna Mae Aquash, at gunpoint. A Mi’kmaq from Canada and one of AIM’s most dedicated participants, Aquash was murdered six months later. In 1980, Two Shoes started a women’s traditional society at Wolf Point and in 1983 earned a B.A. in community development. She began contributing articles to the Wotanin Wowapi, then an all-women-run newspaper. From 1987 to 1990, she studied at the School of Journalism at the University of Missouri and continued writing for the Wotanin Wowapi through the 1990s. A fellow journalist observed that Two Shoes “could stir emotion by pointing out society’s cruel injustices, but lampoon them in the next breath with her hilarious quips. It was her way of pushing people out of their comfort zones. . . . In the process, she provoked them to think about issues that mainstream America would rather ignore.” In addition to reporting on reservation poverty, Two Shoes wrote about safe houses for domestic violence victims, environmental contamination on reservations, and the high rates of cancer-related deaths among American Indian women. Two Shoes was not afraid to speak against injustice wherever she found it. She criticized male AIM members who got drunk, slept around, and fathered children they did not raise. At a NAJA convention in the 1970s, she responded to a non-Indian feminist’s criticism that women in AIM let the men take all the credit for AIM’s accomplishments by asserting that anonymity enabled AIM women to carry out their work with less scrutiny from the FBI. In fact, the FBI’s attempt to co-opt highly visible AIM women like Anna Mae Aquash made them objects of suspicion. 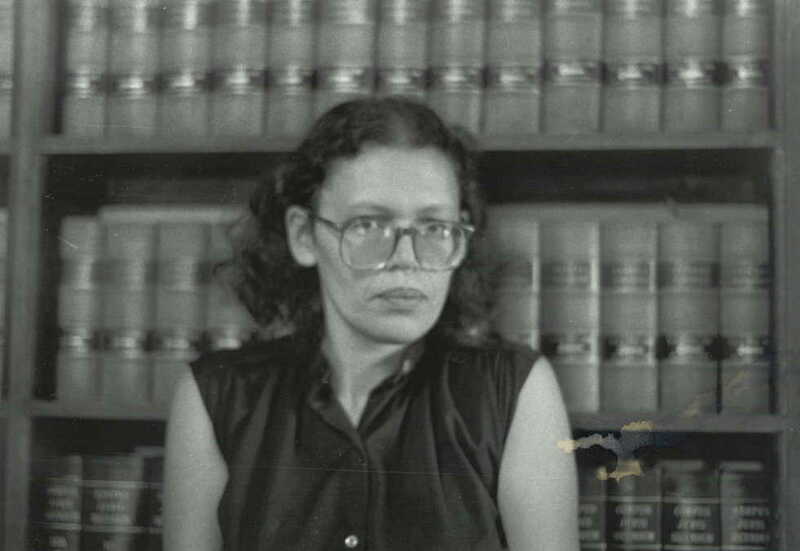 When Aquash, who led extensive community-building and educational efforts, was killed in late 1975, the FBI claimed she died of exposure. A second autopsy revealed that she had been shot in the head. In the 1990s, Two Shoes played a crucial role in the NAJA’s reinvestigation of Aquash’s murder. Two Shoes contacted AIM participants she knew from the 1970s, reviewed FBI files, and helped piece together what happened in 1975. In 2004, two AIM members were tried and convicted of Aquash’s murder. Many former AIM activists, including Two Shoes, attributed Aquash’s death, ultimately, to the paranoia created by the FBI’s infiltration of AIM. You can read Two Shoe’s work in the Wotanin Wowapi newspaper online. Full text searchable issues from 1972-2007 are available on the Montana Memory Project. Other Assiniboine women featured on Women’s History Matters include activist Freda Beazley and Dolly Cusker Akers, Montana’s first Indian legislator. For another story of a Montana woman journalist, read Speaking for Those Who Could Not Speak for Themselves: The Journalism and Activism of Gretchen Garber Billings. Hendricks, Steve. The Unquiet Grave: The FBI and the Struggle for the Soul of Indian Country. New York: Thunder’s Mouth Press, 2006. Locke, Deborah. “Remembering Minnie.” Twin Cities Daily Planet, May 2, 2010. http://www.tcdailyplanet.net/news/2010/05/02/mn-voices-remembering-minnie. Accessed April 2, 2014. McKosato, Harlan. With Paul DeMain and Minnie Two Shoes. “Denver Press Conference” (transcript). Continuation of November 3-4, 1999, interviews on Native America Calling. http://www.indiancountrynews.info/denverpress.cfm.htm Accessed April 2, 2014. ___________. Interviews with Robert Pictrou-Branscombe, Russell Means, Vernon Belcourt, and Richard Little Elk. Native American Calling. Transcript of radio program broadcast on November 3 and 4, 1999. http://www.indiancountrynews.info/nativecalling1.cfm.htmand continued at http://www.indiancountrynews.info/nativecalling3.cfm.htm Accessed April 2, 2014. “Minnie Two Shoes, NAJA Founding Member, Dies at 60.” Maynard Institute, April 10, 2010. http://mije.org/richardprince/david-mills-service-set-monday-md#Two%20Shoes. Accessed April 2, 2014. “Minnie Two Shoes.” Wikipedia. http://en.wikipedia.org/wiki/Minnie_Two_Shoes. Accessed April 1, 2014. “Native American Journalists Association Celebrates 25 Years.” Dawn of Nations Today 4, no. 1 (May, 2009). http://nas.unm.edu/dawnofnations/don2009/naja.html. Accessed April 2, 2014. “An Obvious Reference.” http://rezinate.wordpress.com/tag/minnie-two-shoes/. Posted on Rezinate by rezinate, November 14, 2013. Accessed April 1, 2014. “Remembering Minnie Two Shoes (3/24/1950 – 4/9/2010).” Interview of Minnie Two Shoes by younger members of Native American Journalists Association, NAJA annual conference 2009. https://www.youtube.com/watch?v=FWtKMQb7a-Q. Posted on YouTube by Skabewis, April 9, 2010. Accessed April 1, 2014. Oh Gee Pro. “Gun in Her Mouth.” Video excerpts from film, Silenced: The Execution of Annie Mae. Fifth Estate Canada, CBC; and The Spirit of Anna Mae. National Film Board of Canada; http://www.indigenouswomenforjustice.org/. Denver press release, 1999; and private interviews with participants. Posted on YouTube by LakotaLance, February 12, 2011. https://www.youtube.com/watch?v=0pm1Ic9A4aU. Accessed April 1, 2014. Snell, Lisa. “Minnie Two Shoes: March 24, 1950 – April 9, 2010.” Native American Times, April 11, 2010. http://www.nativetimes.com/index.php/life/commentary/3348-minnie-two-shoes-march-24-1950-april-9-2010. Accessed April 2, 2014. Two Shoes, Minnie. Wotanin Wowapi. February 12, 1992, 5; March 16, 1995, 4. 6. Washines, Ronnie. “Remarks about Minnie Two Shoes.” Native American Times, April 14, 2010. http://www.nativetimes.com/index.php/life/commentary/3384-minnie-two-shoes. Accessed April 1, 2014.